Experience a whole new level of 3D Virtual Reality cinema and games! The top-of-the-range stylish Polaroid VR box is here to take you on a 360-degree journey of fun and thrilling adventure. 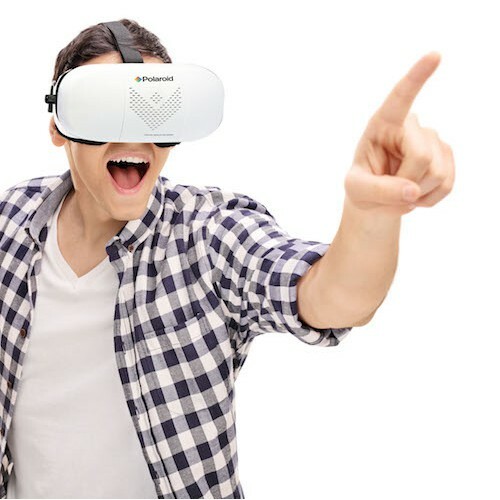 The VR headset works with your smartphone and can be controlled with a remote. It supports 3D side-by-side video and is designed to be used with Android and IOS smartphones (4.7 to 6.0 inch screen size). *VR Apps is available for download on your App Store. 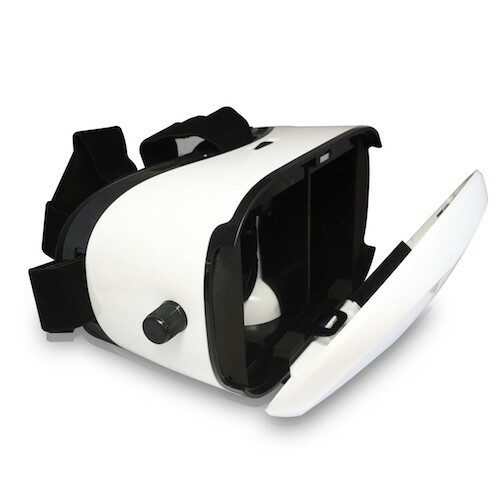 Secure the VR box on your head with the adjustable straps. Use the middle, left and right nobs to adjust lens distance and focus.